Hippo Seasons lets kids explore the four seasons. Crunch in leaves! Roll a snowball! Plant bulbs! Mow the lawn! Fun exploratory play to educate and entertain with a beautiful soundscape. Spin, tap, swipe – then ‘take a snap’ to share your creations in the Hippotrix Gallery! Swipe your finger round or blow into the microphone to spin the sails. Tap the orange hippo button to start or stop the movement. Choose which season you want to play in by tapping on a sail. 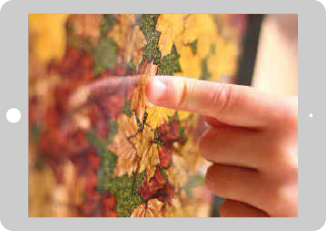 Tap the flowers to play in spring, tap green grass for summer, golden leaves for autumn and snow for winter. There are two stages to this season. First tap your finger in the spring puddle until it drains to reveal a lawn. 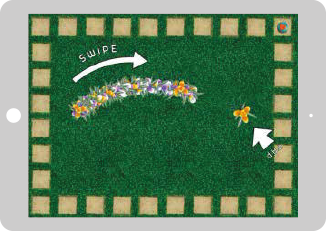 Then tap & swipe to plant your crocus bulbs, they take a little while to grow. The reload button or shaking brings on a spring shower, clearing everything away. You can also tap the tiles to play the glockenspiel. 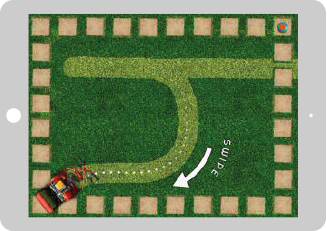 Tap and the lawnmower cuts a straight path, swipe and you can ‘draw’ any pattern, swipe slowly and the lawnmower will catch up with your finger so you can drive it round the screen. Write a letter of the alphabet or draw shapes. Wait a while and a butterfly might appear. Tap the tiles to add percussion. The reload button & shaking the iPad triggers a storm, washing everything away! 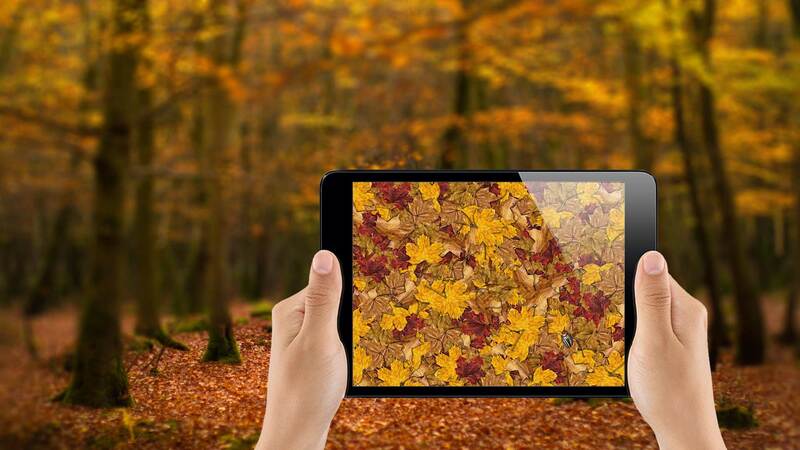 Tap to jump in the leaves, or swipe to sweep them into a pile or push them off the screen. Pause and a beetle might appear – try tapping them to change their direction. The reload button & shaking whirls all your leaves back in again! Tap and it is like walking with crunchy footprints in the snow. 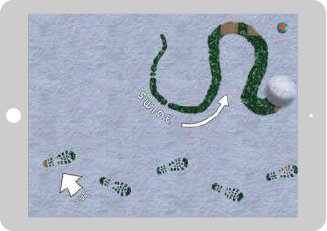 The swipe action is very different, and you can roll up to three snowballs. The reload button & shaking creates a snowstorm and everything turns white again! Hippotrix helped us create an excellent edutainment app and bring the Virgin Money Fireworks Concert music alive. We’re looking forward to working with Hippotrix to develop it more into the future.